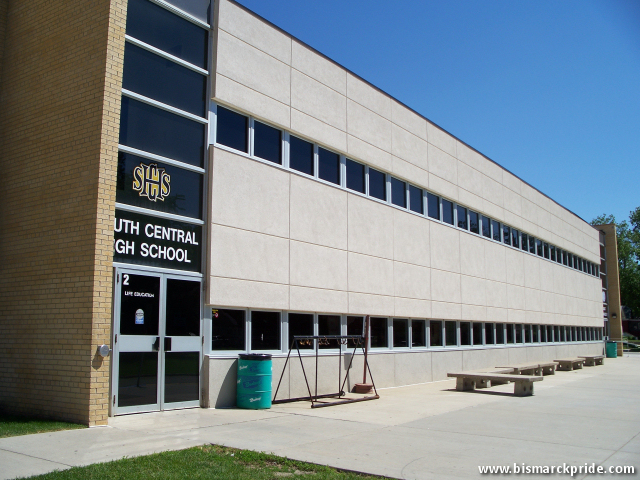 Opened in 1958 as Hughes Junior High, today it is home to administrative offices for Bismarck Public Schools, along with South Central High School – an alternative high school. Named for Edmond Hughes, a local entrepreneur known for founding Hughes Electric with his father, and for his real estate investments. He collaborated with local architect Arthur Van Horn in the construction of numerous historic buildings in Bismarck, including the Van Horn / Prince Hotel.